This afternoon I looked through a stack of business cards. I collected them over the last several months and have great intentions of inputting them into my database. You can tell an amateur design. It has no sense of balance and use of white space. A telltale sign of an amateur design is stuffing too much information on the card. In a manner, it seems like they’re nervous something will be missed if they don’t give all their information. Just send them to your website. And, it pays to have a professional design your business cards for you since they are a first impression. Flimsy paper on a business card tells me the person skimps. It’s okay good to cut corners on things that aren’t important, but business cards are your first impressions. 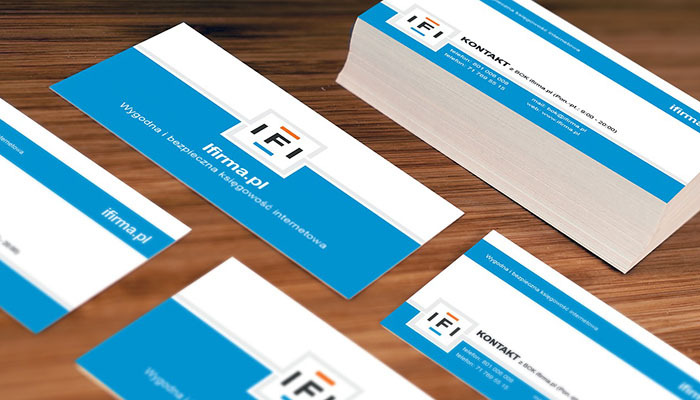 Using heavy stock or a unique paper on your business card communicates that you are committed to quality. I like to a coating put on my business card because it adds bulk to my card and it makes the colors to pop on my cards. Using something like Vista Print is okay for someone where your image isn’t important and you are going to do mass distribution, like putting it in a fishbowl at a restaurant’s register. These free services do this so one day you will spend more money later on a more highly designed card. I’ve never gotten the free cards but I do use Vista Print for my custom designed cards because ordering is easily and they have good prices. I get remarks on my business cards all the time because I do something very simple to distinguish my cards. I got a corner cutter at Michael’s and I round one or two corners on the cards. It makes it look more upscale than it really is. The higher end business card printers have a variety of die cuts you can use for your card. For example, you can have your business card cut into the shape of a house if you are a realtor. I’m up in the air on this one. On one hand, I like printing on both sides so I can add additional information on the back side. I did this for several years. On the other hand, I’ve started leaving the back blank so the recipient can write a note or I can give the other person some info. Realtors love to put their picture on their cards. I’m not sure why this is so prevalent but I don’t know of any other industry where the people use their picture so regularly on their cards. I guess it’s because they are essentially in business for themselves and they are building their brand – which is themselves. I love the look and feel of Moo business cards. They are thick and nicely printed. The only problem is I can’t fit very many of them without my wallet looking like George Costanza’s wallet. And they tend to get marred more easily. On a side note, Moo allows you to create to eight different backs. I had created recently and I quotes from Steven Wright and Deep Thoughts by Jack Handey, which were good conversation starters. My one warning about business cards is to not spend excessive amounts of time designing your card. I advocate putting good effort into creating a memorable card, but trying to make it perfect can take away from spending time planning your business and building relationships. I was working on a website for a client last summer who was obsessed with his business card. He had it reprinted a couple times and spent a lot of money putting it on thick, opaque paper. It looked cool eventually but so much effort was put into it that he didn’t make enough time for creating great content for his website or building a successful business plan. Like I said, it doesn’t have to be perfect. Printing new business cards is inexpensive. If there are things about your card you don’t like, you can always fix the design and have it reprinted, and then toss the old cards. Spend the time and money necessary to make an eye-popping impression on those you meet. It will pay off for years to come as your memorable business card is put in notebooks or hung on the wall.